Patients suffering from multiple tooth loss often look for traditional dental implants as a solution. It is not uncommon for patients to shy away from traditional dental implants, since it can take up to six months before the metal implants are healed in your jaw and receive a crown. Traditional dental implants take months to heal, because of a process called osseointegration. During osseointegration, the titanium implant fuses to the bone. For patients suffering from full arches of missing teeth, we offer a quick and effective form of tooth restoration. Unlike traditional implants, patients can reap the benefits of their Teeth Next Day® the next day, rather than half a year. With the busy nature of life, there are many reasons patients are choosing our our full arch teeth replacement option over less advanced forms of tooth restoration. Before deciding on Teeth Next Day®, it is important to understand the ins-and-outs of this form of tooth restoration. During your initial consultation for your Teeth Next Day® treatment, you will need to find out if you are a viable candidate. At this time, we will examine your dental health, discuss treatment options, and see if you are an ideal candidate for Teeth Next Day®. Once it is decided that Teeth Next Day® are right for you, we will make sure you are fully prepared for your surgery with explicit instructions. We will also assess how many implants your jaw will need to anchor your Teeth Next Day® Prettau© Zirconia bridge into your mouth. Typically, it will take between 6 implants for the top arch, and about 5 for the bottom arch. After the consultation, your Teeth Next Day® bridge will be created in our lab, ensuring that they look and feel like real teeth. In your second appointment, we insert implants into your jaw and install yourTeeth Next Day®, allowing you to leave the office with a full set of new teeth. Traditional tooth loss solutions, like dentures and dental bridges are temporary. It is not uncommon for both of these tooth loss restorations to become loose, detached, damaged, or lead to more complex health issues. 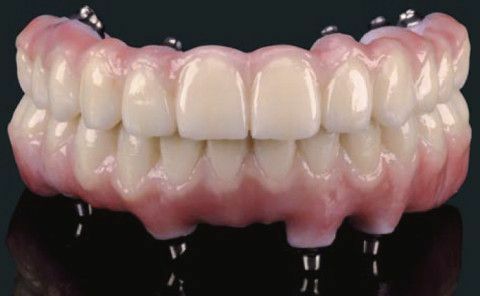 The instability of bridges and dentures makes it hard to eat and talk with confidence. The primary benefit of Teeth Next Day® is their ability to look and feel like your natural teeth. Teeth Next Day® allow you to eat apples, ribs, almonds, and all of the foods that you used to enjoy with real teeth. Teeth Next Day® dental implants are also last for years - unlike dentures and bridges that need to be replaced often. Teeth Next Day® are also made with a durable, long-lasting material known as Prettau© Zirconia, so they can last a lifetime. Another convenience of Teeth Next Day® is that you can brush and clean them like real teeth. The success of your Teeth Next Day® treatment will be dependant on your individual case. If you are prone to grinding your teeth, you will need to use a night guard to protect the implants from pressure damage. Other habits that might affect the success of your Teeth Next Day®, include: general health habits (diet), your dental hygiene routine, and lifestyle habits, like smoking, drinking, and drugs. To see the best success for Teeth Next Day®, it is important to plan ahead and take care of your bite health, while the implant posts are healing. For this, you will need to follow our aftercare instructions by avoiding hard foods for the first 3 months of healing. Another important factor for the success of your Teeth Next Day® is the placement of the implant posts. At Vero Dental Spa, we use 3D CAD/CAM technology to find the most optimal and stable placement areas. Like any procedure, Teeth Next Day® has some inherent risks. For one, there is a possibility of infection in patients with compromised immune systems and poor health. However, this risk is rare, and we take necessary precautions to reduce the risk of infection. 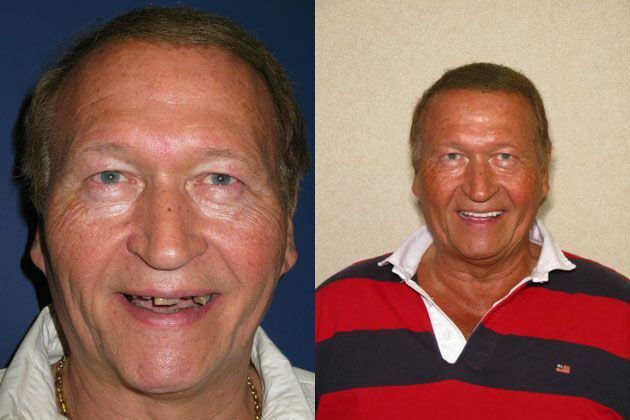 Are you tired of dealing with the inconveniences of dental bridges and traditional dentures? During your initial consultation, we will go over all of the risks and benefits of Teeth Next Day® for your unique dental health situation. Call Vero Dental Spa today to schedule a consultation for Teeth Next Day® today.